Wednesday, June 27, 2018, 6 p.m.
A salute to our race volunteers and support crews as they prepare to welcome teams that arrive on Thursday. Carmacks Checkpoint will be our huge Community Volunteer thank you!!! We will celebrate all Volunteers from years past, sponsors past and present, check points, and support teams. If you’re able to join us this party, it will begin at 6pm on Wednesday the 27th. 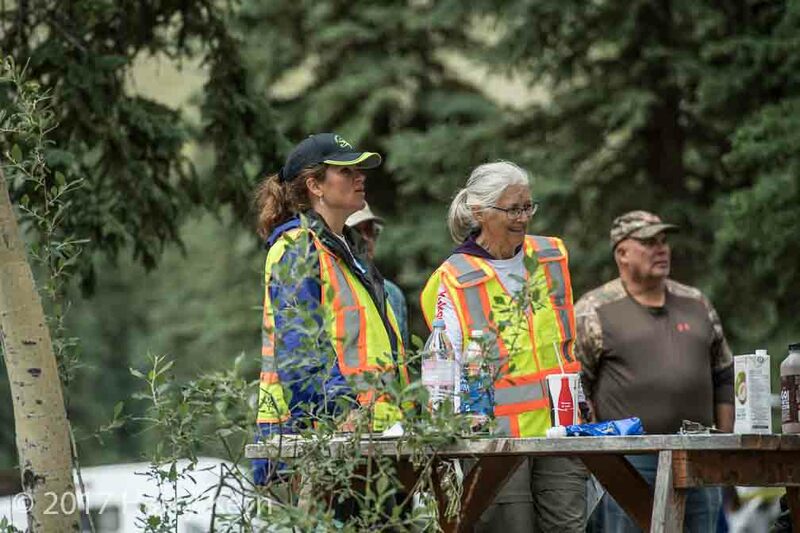 Yes, after the race starts in Whitehorse follow the race to Carmacks and help us set up the checkpoint and then party! Yummy dinner will be provided and there’ll be plenty of fun and games. We’ll go from 6pm till 10pm with a continuous dinner serving as each person can come in or go out to volunteer. This will be a very happy evening; meeting old and new volunteers and supporters including supporters from the Community of Carmacks who’ve kindly been our hosts for 20 years. Many thanks to the Coal Mine Campground our hosts for the evening and for our Race. And the Community Development fund who’ve helped pay for the yummy dinner!! !